I’m no expert on French actors and actresses, but when I started looking I was surprised at how many I knew. Can you tell me the names of these talented thespians? And you’ll get extra points if you name one movie they were in. 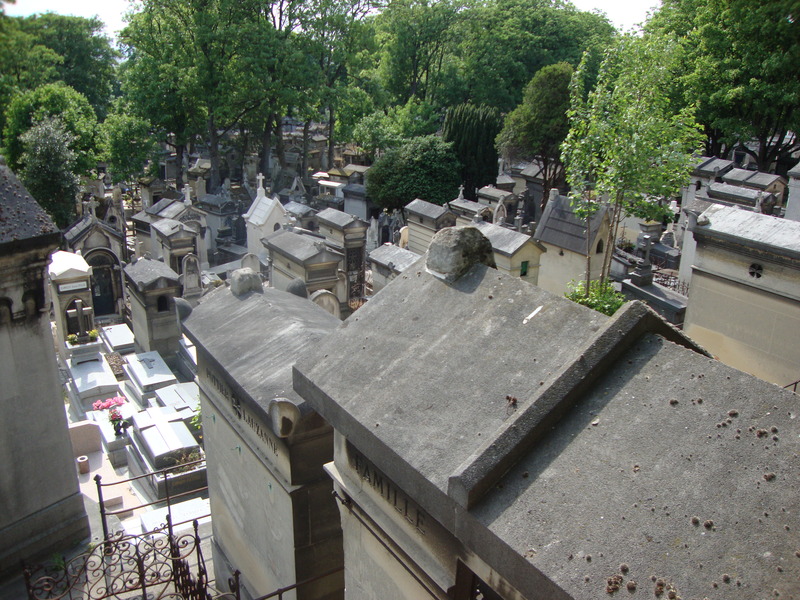 Pere Lachaise from above. In 2007 #10 was buried in this cemetery. Paris in July – Tennis anyone? Well, I stink at this one. I think #1 is Brigitte Bardot and #2 is Gerard something. I recognize #7 but don’t know his name. #10 is Marcel Marceau. two look familiar but can’t name the rest! Fabulous French quiz, Stacy! FIrst time participating – looking back at an old quiz posts, it seems I should leave my guesses in the comment box. Hope I’m not wrong! Most of the others I recognize their faces, but can’t bring up the names with certainty. Woot! I think I got ’em all, but one! I’m surprised by how many of these actors I recognize but of course I remember very few names! I will try a few guesses though (don’t laugh). Oops! I forgot to add the movies on some of them. Hope I’m not too late. I already guessed the names last week. 14 more points and now you have 104!